It was a tremendous day for CoPA yesterday as their synchronised swimmers won top medals at the Swim England North West Regional Championships at Irlam on Sunday. 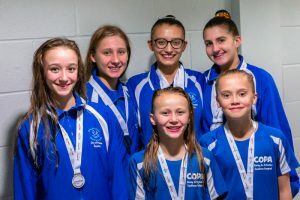 CoPA entered swimmers for the figures, solo and duet events and every swimmer won a medal for one or other of these categories. Photos and videos can be found here for logged in CoPA members. Team CoPA were also heavily represented in the organisation and running of the event with Deborah responsible for managing the event on behalf of Swim England NW, Pam and Fiona in attendance as coaches, Camilla and Sarah judging, Alison as Clerk of Course, and Colin manning the door. 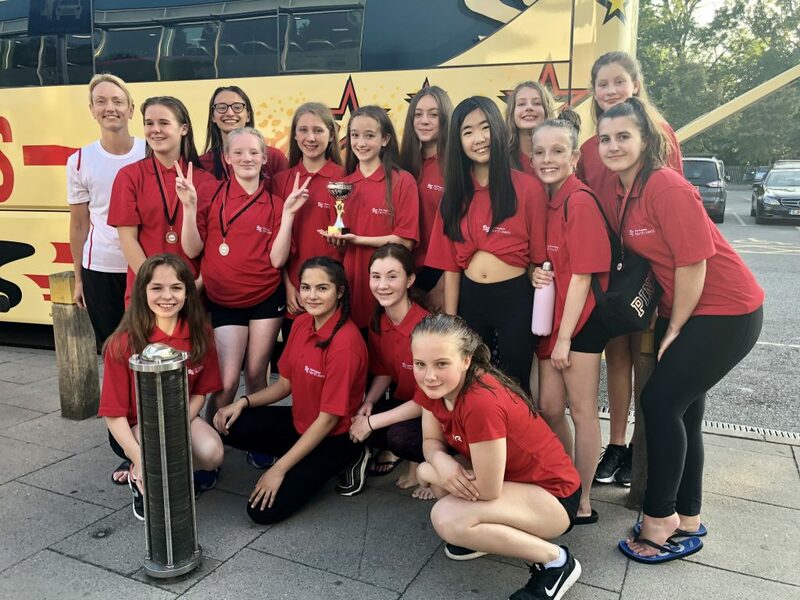 Congratulations and thanks to our friends from City of Salford, Stockport Metro, Trafford Synchro and Warriors of Warrington on their own results and for taking part and making the event a great success. There will be a CoPA disco taking place on 30th November 2018 as a fundraising event for CoPA. This is a Friday evening and there will therefore be NO synchro training on that day. Let your hair down and come to the disco instead! Please see the event page for full details and get your tickets now! 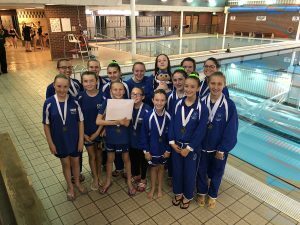 City of Preston Aquatics’ synchro girls produced another fine performance today as they competed at the 2018 Lancashire Championships against our friendly rivals, City of Salford and Kendal synchronised swimming clubs. Full table of results can be found here. Please see the updated event page for details of the timetable and order of swim for this weekend’s Lancashire Championships. Congratulations to Deborah who recently passed her level 2 synchro coaching qualification. Deborah’s newly affirmed talents are already helping to propel CoPA onwards and upwards!